What the cost will tell you! Some Duct Cleaning companies try to lure you in with the promise of a cheap clean $169.99 or lower…and that’s exactly what you’ll get…a CHEAP service, not an inexpensive one. 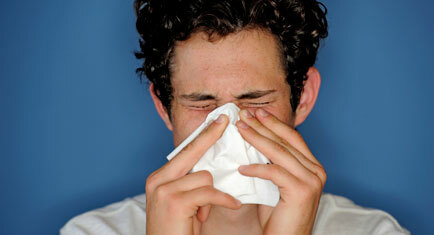 A proper, full furnace and duct cleaning should be in the range of $300.00 to $1000.00 and sometimes above. Pricing should be based on the size of the home or business, how many furnaces you have, and any additional options you may choose. Some companies will charge by the vent or by the hour. 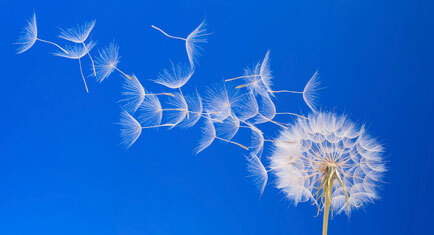 Make sure to ask as many questions as you can when deciding on a duct cleaning company. There are vast differences in pricing from company to company but Caliber provides up front pricing, no hidden fees. We provide “all inclusive” pricing based on the square footage and type of home or business you have. 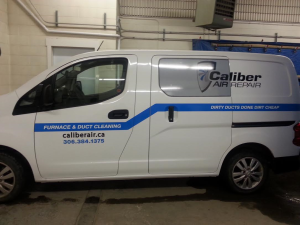 We clean all supply air ducts (hot), return air ducts (cold), main plenum trunks, reusable furnace filters, the furnace blower and heat coils, and the a-coil if you have air conditioning. We don’t count your vents and raise the price on what you expected to pay, or charge you for things that need to be done in order to complete a proper clean (ie: cutting and patching holes in the trunks to access the dirt and debris). Some companies will charge extra to clean the furnace, the a-coil, or the filter. We believe that a proper duct cleaning should include those items in the price otherwise the clean is pointless in most cases. Unless you are having your furnace replaced with a new one in the near future, not cleaning those items will only pass all the dirt and dust collected in those areas back through the ducting once the furnace is turned back on. Therefore making the “clean” ducts a pointless expense you just paid for. 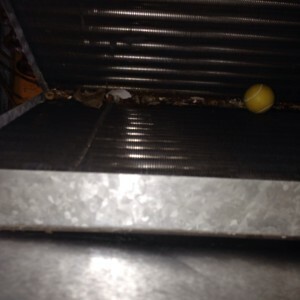 Above: Dirty a-coil, showing what can be left behind to circulate through your furnace and ducting if not cleaned. 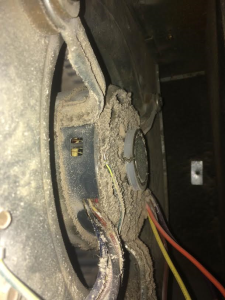 Above: Dirty blower fan showing dirt that will be circulated through your clean ducts once the furnace is turned back on, if not cleaned. We don’t pressure our clients to purchase additional options they don’t understand or even need. Our team will explain the options available and inspect your home to let you know what additional options would be best suited for you. After that, it’s up to you! 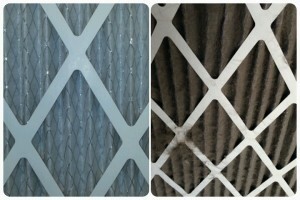 Above: A clean pleated filter that we have in stock for sale vs. a filter used for 3 months.